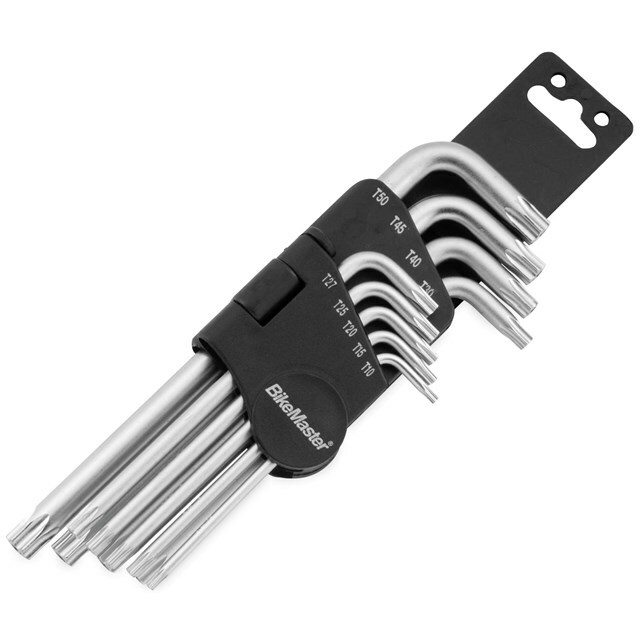 Made from precision-drawn, chrome-vanadium tool steel and comes with a manufacturer’s lifetime warranty. It features a security hole in the center and the wrenches have a corrosion-resistant coating in addition to a bead-blasted surface for better grip. 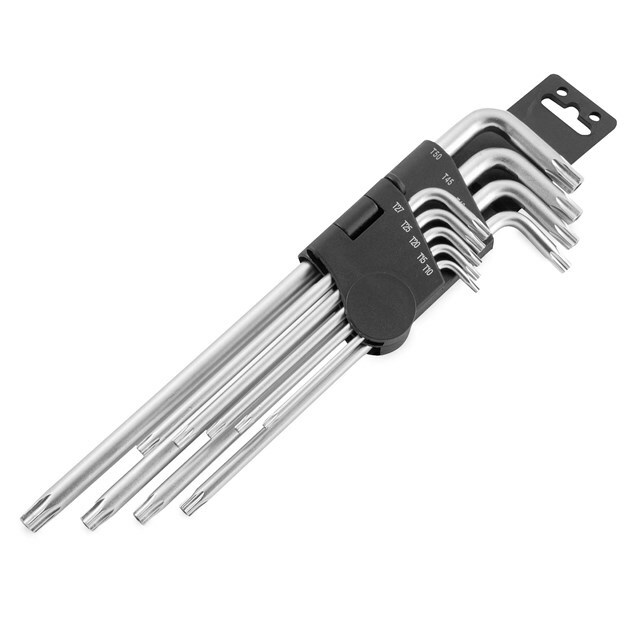 The L-Torx set has extra-long reach that allows access to obscured bolts and more torque while the S-Torx set is a short version that allows access to tight space. Both sets include a durable holder.